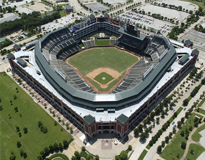 Manhattan Construction constructed the nationally acclaimed Rangers Ballpark and is currently performing renovations to the facility. 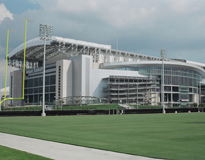 Two Manhattan built stadiums, AT&T Stadium – Home of the Dallas Cowboys - and Reliant Stadium, ranked on Sports Illustrated magazine’s “Best New Stadiums” list. 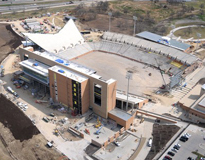 Two Manhattan built stadiums ranked on Popular Mechanics magazine’s “Top 5 Technologies in NFL Stadiums” list. Cowboys Stadium for its two, 2100 inch HDTV’s and Reliant Stadium for being the first NFL stadium featuring a retractable roof. 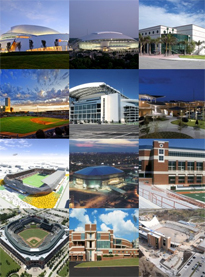 Manhattan is known for building some of the world's most notable sports venues.